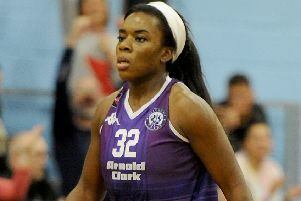 Cup winners Falkirk Fury will be daunting opponents, but Kings fear no team after coming from behind to beat league champions Dunfermline on their own court in an epic semi-final. Honours were even in the league this season with Kings winning at Portobello in October and Fury taking revenge in Grangemouth in January. “They were two very close games,” recalled Nicol. “Falkirk strengthened well for the second one and I don’t think they’ve lost this year, so they’re on a good run. There was disappointment for Queen Margaret University’s men’s team in Wednesday’s BUCS Trophy final in Nottingham when they lost 83-60 to Worcester.